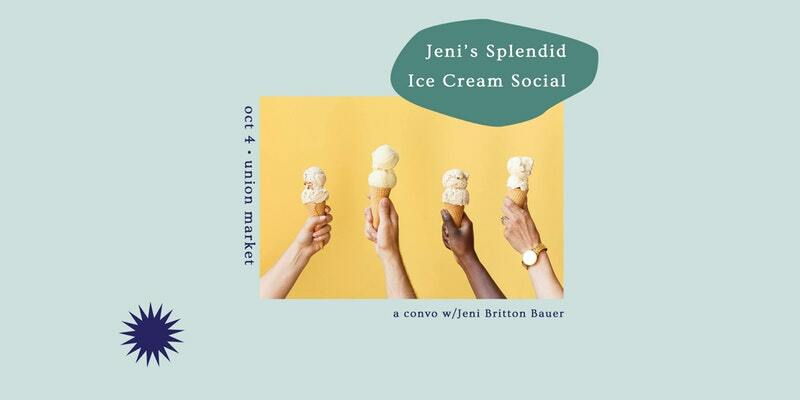 Join us in conversation with Jeni to celebrate Jeni’s first DC shop on 14th St NW, which is location #32 in her ice cream empire. Holley Simmons, Washington Post contributor and co-founder of The Lemon Collective and Sill Life, will interview Jeni IRL to uncover her ice cream journey--from art school dropout and former perfumer to the visionary food leader we #pinefor today. Come socialize and enjoy scoops from Jeni’s Ice Cream Truck, which will be parked at Union Market exclusively for pineapple !